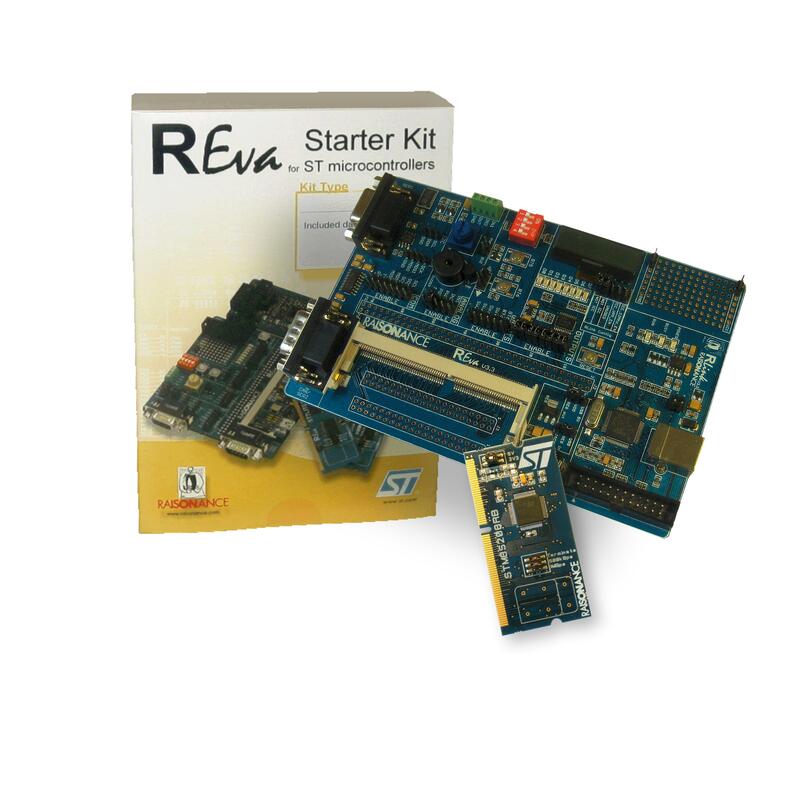 The REva starter kit for STM8S is a complete solution for evaluating and starting application development. In addition it is a versatile, modular solution that opens the doors to evaluation of a wide range of 8-bit microcontrollers. The REva comes with the RKit-STM8 "Basic" software license allowing unlimited code debugging with Ride7 and device programming with RFlasher, plus compilng of code up to 2 Kbytes in size with the Raisonance STM8/ST7 C compiler. REva v3 mother board with a complete range of evaluation features.